We have changed our name from Compliance and Legal Section (CLS) to Conduct, Compliance and Legal Advisory Section (CCLS). 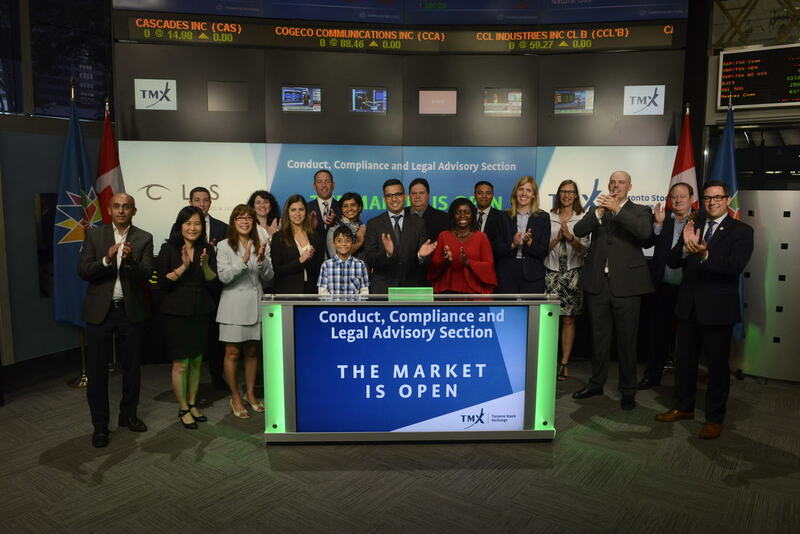 Welcome to the Conduct, Compliance & Legal Advisory Section (CCLS) Education Sub-Committee of the Investment Industry Regulatory Organization of Canada (IIROC). We are a group of volunteers in the Compliance & Legal field, dedicated to providing IIROC Member Firms with education on Compliance & Legal oriented topics. We do this via Breakfast Seminars, an Annual Conference generally held in December of each year and a Golf Tournament. Our aim is to serve your needs, so please do not hesitate to contact any of the members of the Education Sub-Committee with your suggestions or email the Sub-Committee at either chair@clseducation.ca or at registrations@clseducation.ca. Participants in our Breakfast Seminars are eligible for One (1) Continuing Education Credit (CE Credit) towards fulfilling either their Compliance or Professional development requirements. Attendance for each hour at the Annual Conference entitles the attendee to One (1) Continuing Education Credit (CE Credit) per session for a maximum of Six (6) CE credits. Our sessions may also be eligible to fulfil the Law Society of Upper Canada's requirements for Substantive CPD Hours. Substantive Hours may address substantive or procedural law topics and/or related skills and need not be accredited. Non-legal subjects may also be eligible for Substantive Hours if they are relevant to the lawyer's or paralegal's practice and professional development. Members of the LSUC should consult with their firm's Learning & Development departments for more information. Simply put, our mandate is to develop and deliver education programmes to the Compliance and Legal professionals employed by IIROC's member firms. Generally, we organize and provide 3 breakfast seminars, 1 golf tournament, and 1 full-day Annual Conference each year. We strive to provide sessions covering information that is both timely and informative for both our large and small member firms, both in the retail and institutional areas, as well as topics that are of more general interest to our constituency. Our committee is made up entirely of volunteers who donate their time and expertise. Firdaus Kapadia, Co-Chair Scotia Capital Inc.
Brad Rowland, Registrations Industrial Alliance Securities Inc.
Lily Chan Risk Management Services Inc.
Andrew Dundass UBS Securities Canada Inc.
Diana Quinn GMP Securities L.P.
Neal Weston Scotia Capital Inc.
Committee members ... Click Here to access the committee members' only site.